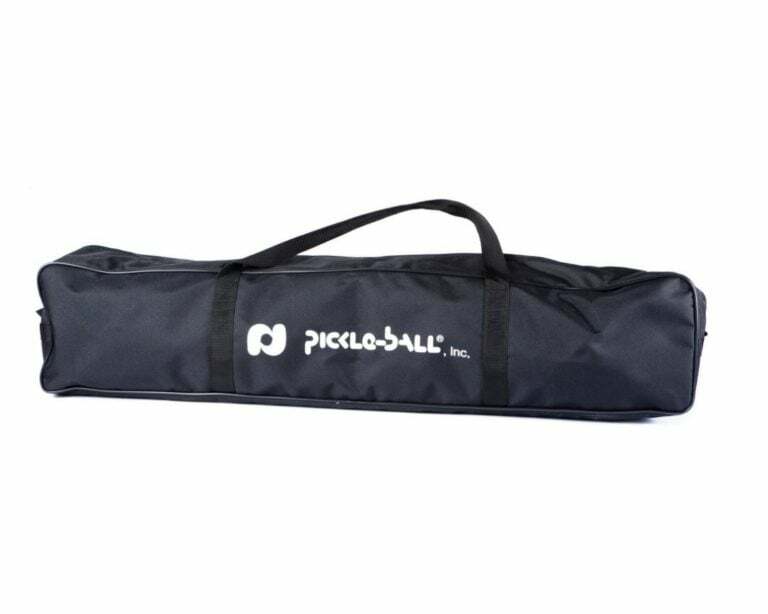 Lightweight, portable pickleball set can be set up and moved in as little as 8 minutes. Frame is made from hollow steel tubing that is powder coated with a bright green paint. 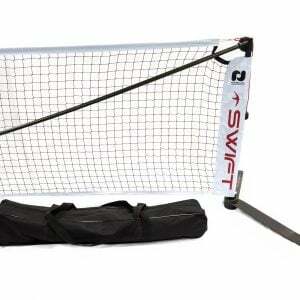 The frames legs have a slight bend in them, to enhance the stability of the net. 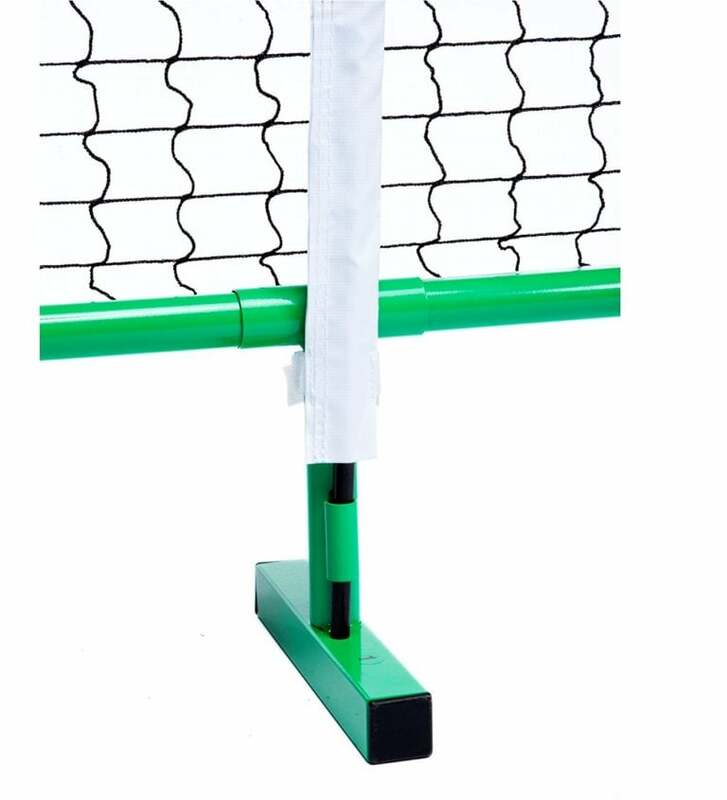 System has a raised lateral bar that allows for balls to pass underneath and a center stabilizer for additional support. 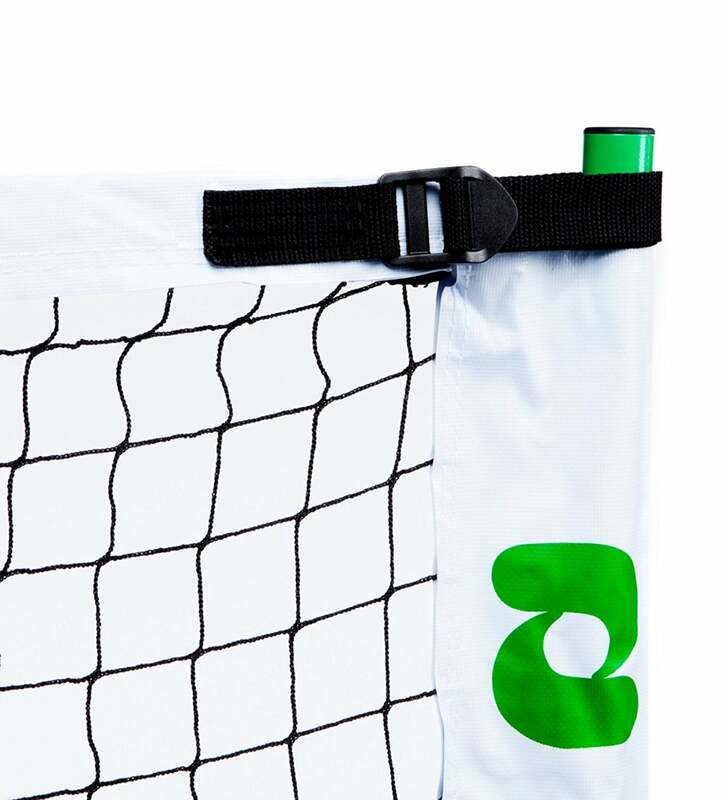 The black mesh net has vinyl white net bindings with an“easy buckle” net tension system. 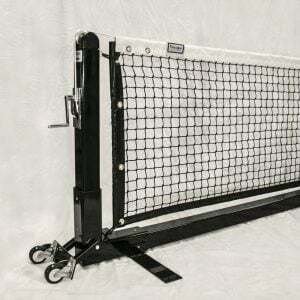 This ensures the net stays rigid and at the correct height. Portable system comes with a nylon carry case with a velcro strap for the frame. Carrying case has pockets for balls, rackets, and other accessories. 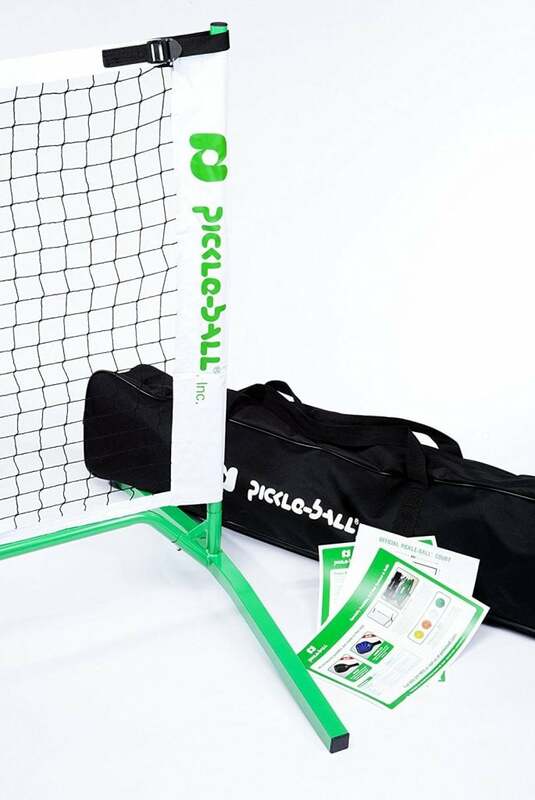 Please contact me with more information about: "Pickleball Portable Set, 36" x 22'".